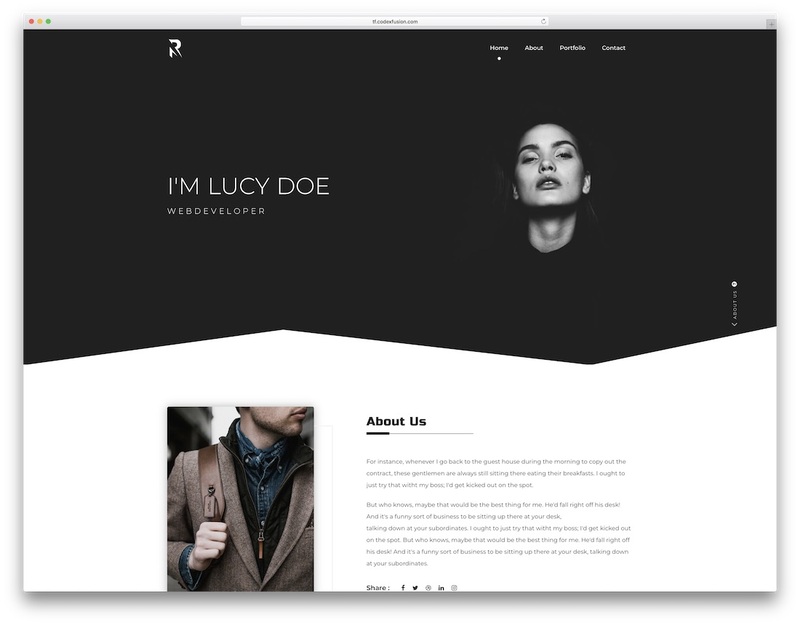 Independent creatives who are ready to bring their online appearance to new levels, we prepared a compilation of the best freelancer website templates for you. Even if you have barely any experience with website development, that should not be a barrier to achieve a top-notch web presence. Little do you know, you are setting the bar high and boosting your freelancing business way above the industry average. Sounds like a solid plan, don’t you think? By choosing the freelancer website templates route, your workflow stays intact but you are still able to craft the necessary portfolio page to display your work. While busy working on projects, on the side, you can secretly bring into being a personal website for your freelancing business. Along with showcasing your work, past and present projects, tell your story, share your experience and start a blog. Let those interested in working with you get familiar with what you do and what you are all about. Besides, website templates for freelancers are powerful enough to be an excellent fit for agencies and small businesses, too. Avoid the tedious process of constantly searching for new clients. It can be a challenge that can cause a ton of stress and strain. That’s why more and more freelancers are building portfolio-rich websites with services they offer, testimonials, pricing lists and begin writing a blog for content marketing. Follow the modern freelance worker and create your own page with help from freelancer website templates. No matter if you are starting out or you are an established freelancer, in both cases, a sophisticated and professional page is needed. 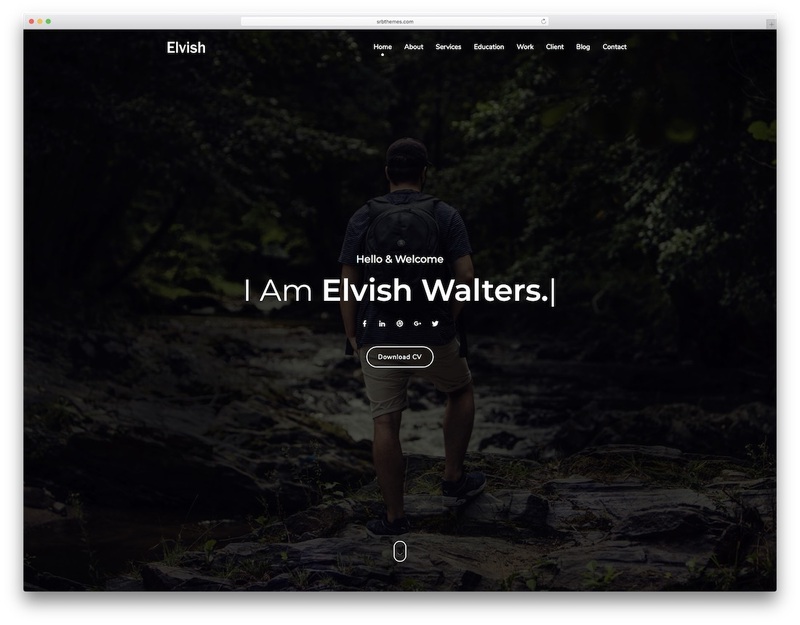 Do it in style with Elvish freelancer website template and get the traction going like experts do. Elvish might sound mystical but it its as real as you and me. It is a large tool with seventeen and counting home designs so you can easily find what would work best for you. Elvish is build using new-age technologies, like Bootstrap, HTML5 and CSS3. Meaning, your page will not only be stable but it will also work seamlessly on all devices and platforms. The experience your visitors will have surfing your magnificent content will always be the same, be it using a mobile device or a desktop. When it comes to modifying the looks of Elvish, all files are organized and commented to make it a breeze. Do you have to make an expert looking portfolio website that will impress potential clients and visitors? If your answer is yes, then you should consider using Imozar, one of the top freelance website templates out there. The site canvas is best for designers, photographers, artists, or any kind of creative individual who would like to push his or her talent and work. When you unbox Imozar, you will find all codes and files neatly organized for your convenience. It is all easy to identify so you will have a simple time when customizing and improving Imozar. You can actually configure this template to match your needs within minutes. However, chances are, you would not want to change much since predefined layouts are already so polished. And you do not even need to craft a contact form because a working AJAX one is included in the bundle. To distinguish yourself from the masses, all you need is Genix. This is a unique and innovative freelancer website template with a stunning web design that will spark everyone’s curiosity. It is modern and very appealing to the eye, looking as pro as it possibly could. Besides, setting yourself up with a fresh and attention grabbing website will be something anyone can do. With the right set of ready-to-use material, establishing a page completes in no time. 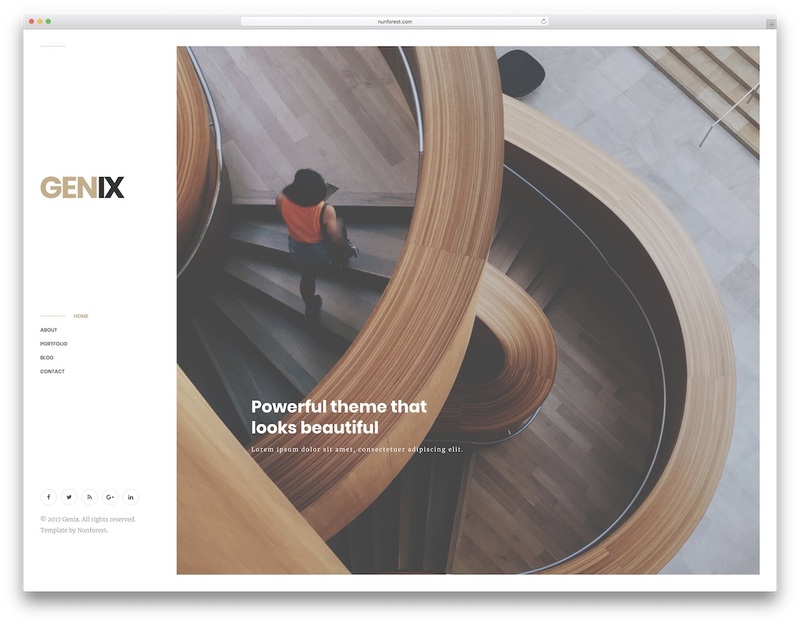 Genix is responsive, retina ready and congruent with all modern browsers. It is based on Twitter’s Bootstrap Framework, features Revolution Slider and comes packed with tons of icons, Google Maps and contact form. The navigation is a sidebar one, as well as a sticky one. 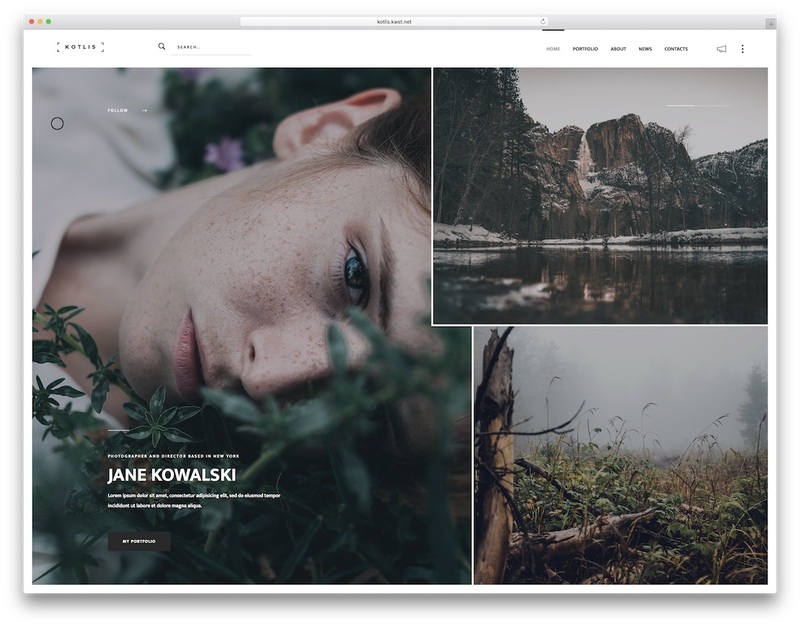 The filterable portfolio will display your work in a tidy way while blog section gives you permission to tell more about yourself and your compelling story. 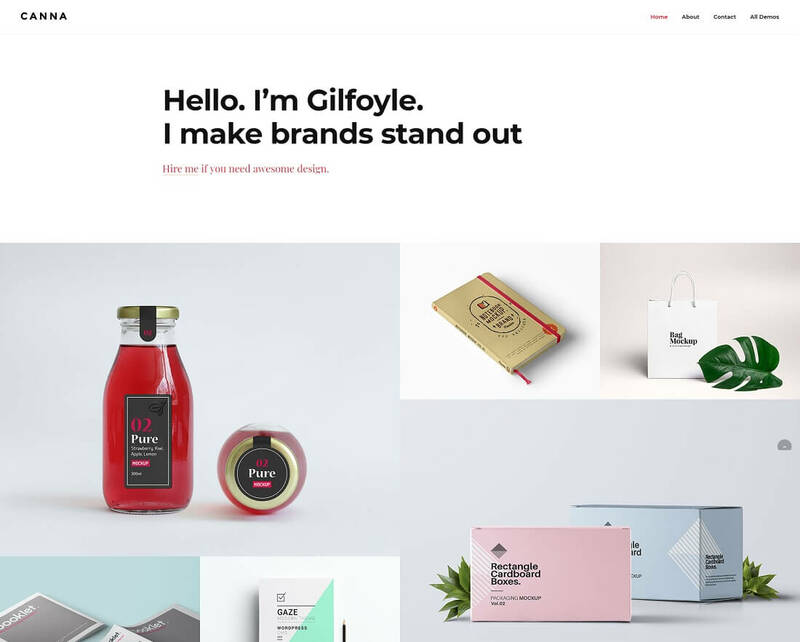 Gorge is one fine and grand freelancer website template that you can use to hammer out a space for your creative portfolio. The site canvas is search engine optimized, to help you boost the number of visitors to your site. It is also designed to be fully responsive so you and your visitors can use any device to browse it. That could be mobile phones, tablets, laptops and the largest desktop computers. With the minimal feel, Gorge has, it will be an ideal solution for those searching for a template that is simplistic and does not overcrowd the design with too much fancy stuff. Gorge is a clean and straightforward item that is suitable for any kind of website you might have in mind. There are dark and light versions available, as well as Isotope portfolio at no extra cost. 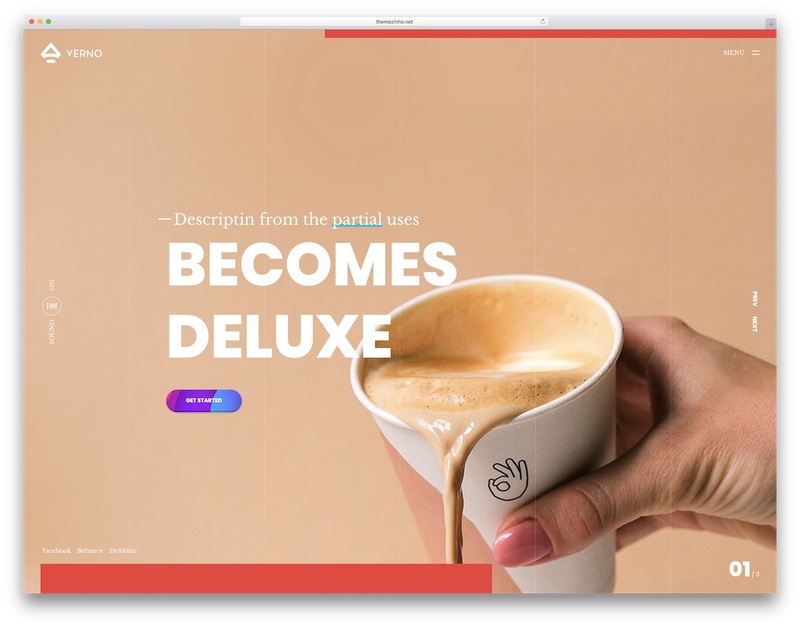 Beautiful, great performing, simple to use and swift to improve, Personala is your go-to freelance website template if parallax and one-page layout is what you look for. Those are two of the main characteristics this great tool features. In addition, Personala rocks a whole bunch of other excellent assets that you will find of great use and benefit. First, you get to select between dark and light layouts. Pick what best represents you and start from there. Second, full-screen banner with parallax and typewriter effects. This is what your visitors will see first thing so make sure it is something remarkable that intrigues them. Other features of Personala are skillbars, animated statistics, categorized portfolio and testimonials slider. You truly do not need multiple pages to cover your talent and works. One page will do the trick and make you appear on the web like someone who has been in the business for years. 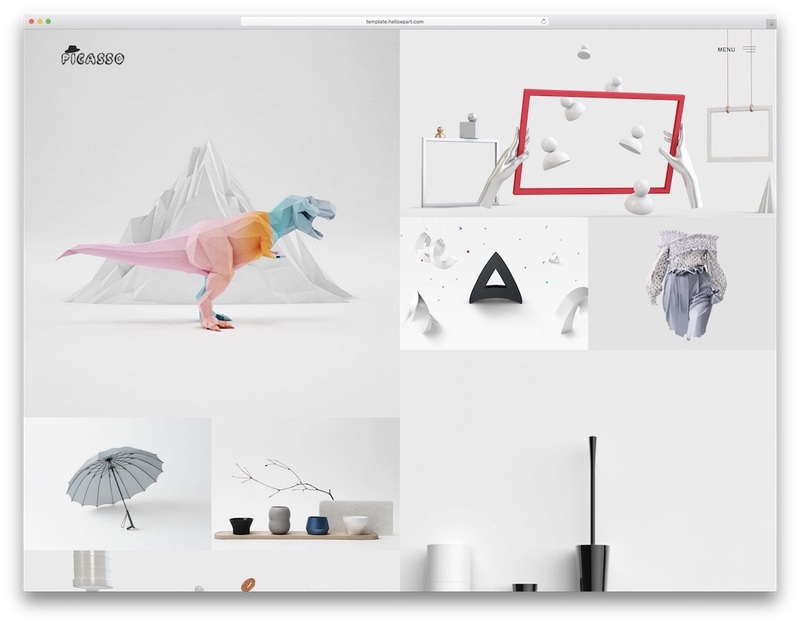 Would you like to come up with a simple, yet impressive, portfolio website? 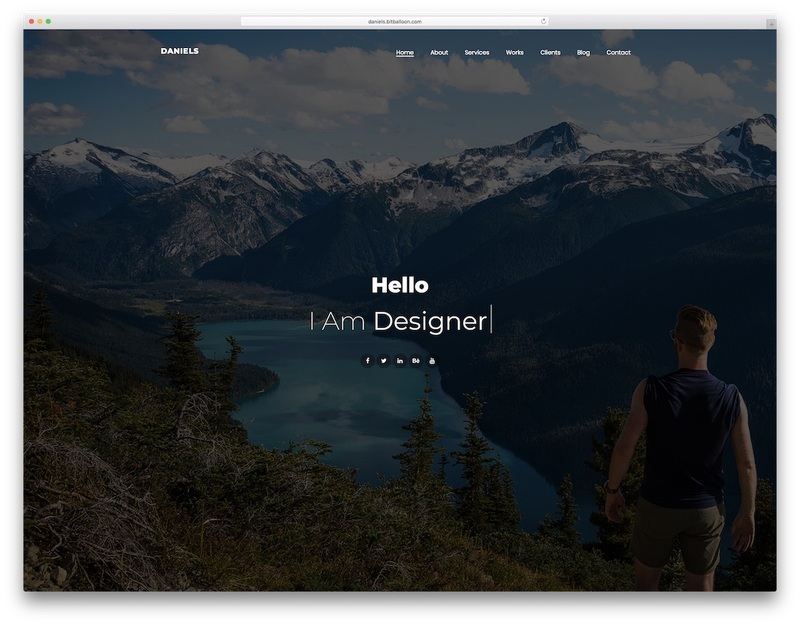 Daniels is a terrific freelancer website template you can use to make it happen. It has all the right features and assets that you need to create a gorgeous looking site. And the process of creating the much-needed page will be manageable, too. Daniels is ideal for individuals, as well as startups and agencies. In short, anyone who wishes to get his work out and spread the name can use Daniels. It is all very tidy in the Daniels package so you have an easy time customizing the web design of it based on your needs. Daniels is highly responsive as it is powered on Bootstrap so that’s something you never need to worry about. Moreover, Daniels is packed with, four homes, free updates and awesome documentation. Daniels will keep your site fresh and novel at all times even far in the future. Rokstar is definitely a killer name for a freelancer website template that will take your business to new heights. It is a modern, single-page tool based on HTML5, CSS3 and Bootstrap 4. The look of the tool is very straightforward with a solid attention to details. Everyone enjoying your page will truly be impressed and amazed by the overall experience. Make it a noteworthy one once you blend together your talent with Rokstar’s cracking design. You need to invest little work and time into the creation of a banging page that will make you shine online. Rokstar is here to help you rock the internet and get your talent in front of more eyes. Once your persuasive page convinces them 100%, talent needing clients can rush using the included contact form and get in touch with you to collaborate. Based on the Bootstrap 4, Blink is a super mobile-ready freelancer website template with goodies upon goodies. In one package, you will find all the assets that you require to bring into being a contemporary and admirable looking page. With the available thirty demos, freelancers of all levels and niches can craft a web space quickly and efficiently. You can even choose a design that was not initially meant for what you do and go against the norm with it. Doing things differently can have a solid impact on everyone that ever comes across your page. Making adjustments and enriching Blink with your personal touch is as easy as possible. It is a user-friendly masterpiece which will have a positive influence on your visitors and potential clients. 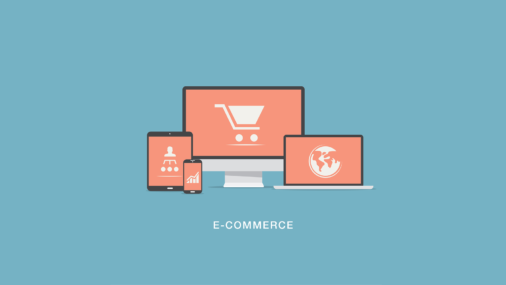 Blink is responsive, too, so your website will have no problems loading whether they use smartphones, tablets or desktops. With Wizzard, you unlock the hidden talent within you and that’s building websites. You might have never done one yet but it is Wizzard that will change that in a few. You are about to bring to reality the first-class page for your freelancing business thanks to the predesigned and ready-to-use content Wizzard delivers. And if you would genuinely like to distinguish yourself from the rest, again, Wizzard is the tool that will do things like none out there can. How can you even beat that? Wizzard has a valid HTML code, smooth scrolling features, active contact form and stunning page transitions. It rocks a full-screen overlay menu, is optimized for super fast loading speeds and comes packed with intuitive shortcodes. Content loads on scroll and creates an enviable experience everyone will be entertained by. Last but surely not least, Wizzard also offers all its users friendly support for any additional questions you may have when setting up the page. Creative people need creative ways to showcase their talent. The best way you can achieve that on the world wide web is to forge a website using Madrid. One of the best modern freelancer website templates out there, Madrid, combines all the features and assets that you are in need of to make a good looking site. Not only a good looking but a high performing web space that will work great on any device and platform. SEO and speed settings of Madrid are arranged so you can get excellent search results and a boost in organic traffic. Madrid has a stunning dark layout with an innovative approach to web design. There is no one who will be able to resist your page and leave early. Instead, they will all be glued to their screens, further investigating what you have to offer and how you can benefit them. Display your inventive genius excellently and tell the whole world why your portfolio is the best. Give Brabus, a freelancer website template, a try and see for yourself what it can do. Whatever your creative spirit is all about, Brabus has numerous ready-made layouts and components that will do you well. Add flavor to the mix by customizing menus or adding scroll animations. You have full creative control, as you can pick colors, fonts and layout styles that are exclusive to your style. Of course, you can adjust and update the default look of Brabus however you fancy, too. After the finishing touches, you can instantly go ahead and complete the process by putting your online portfolio live and be the next online sensation. Try Brabus now, see its live preview page and you will be hooked immediately. A true artist will always put his or her creations on top. 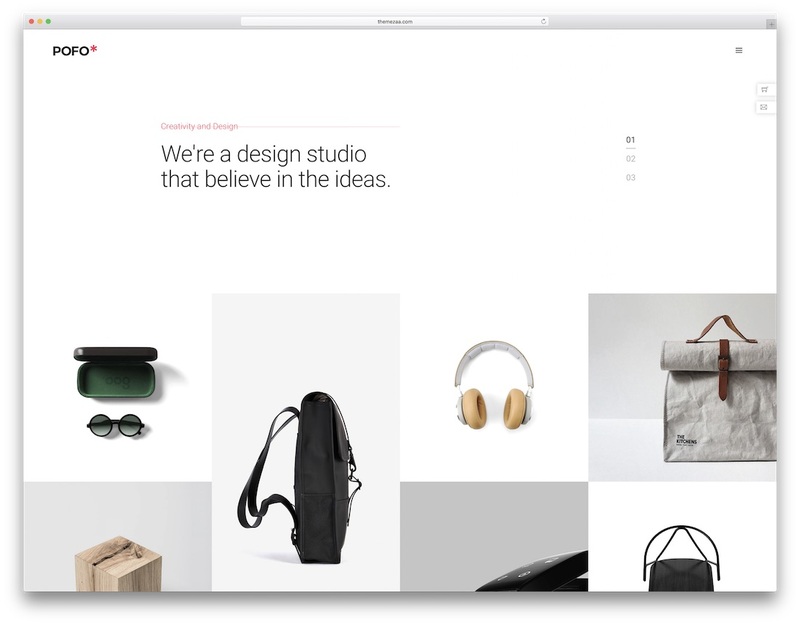 To help you further with monetizing them effectively, the Verno freelancer website template offers its services for every creative individual out there. 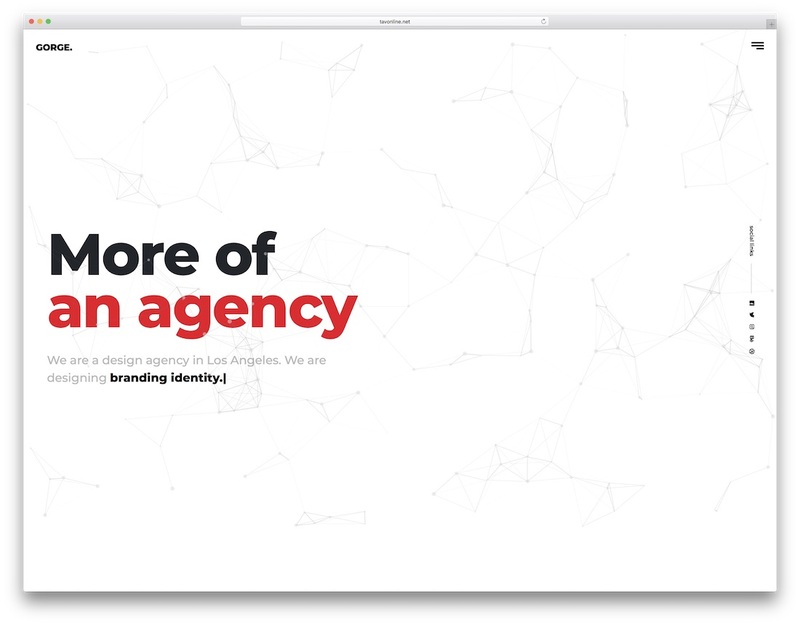 Indeed, Verno works both for freelancers and agencies alike like a dream. 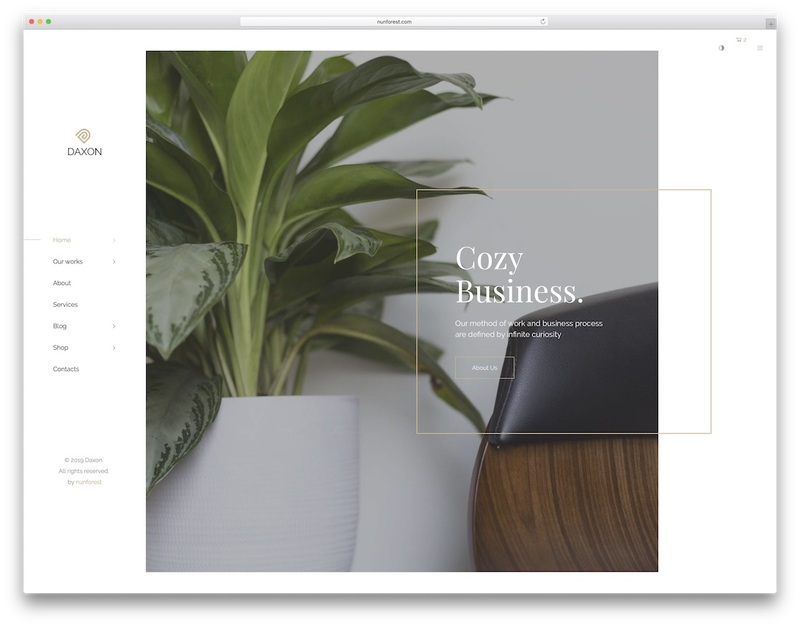 Creating the most ideal web design is effortless with Verno. It already comes with striking demo material out of the box, but you can always take the extra step and personalize the experience. Meaning, you can modify Verno to your likings at free will. Manage and promote your brand on any device and browser. Thanks to the Bootstrap Framework, Verno works on all platforms smoothly, adapting to every screen in a snap. With a page skin that knows how web design works, you will never get lost in walking the path to success. A relevant visual content would definitely leave a permanent positive impression on your vistiors and potential clients. This is what Daxon is all about. Your cool ideas, combined with this freelancer website template, can make your marketing dreams a reality. You can now promote yourself professionally from the start. With Daxon’s remarkable style, you will have no issue capturing their attention and scoring new project deals on a regular. 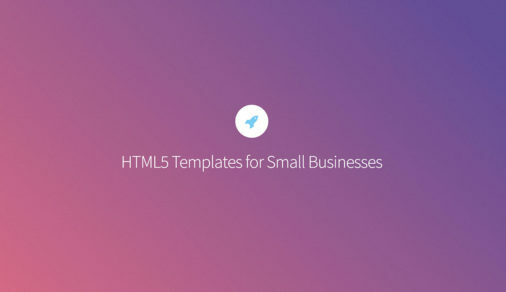 This template’s functions will totally highlight your products and services seamlessly. The demos themselves look both elegant and functional, and there are three available just for the front page. Customization will always be a breeze when working with Daxon, too. Some of the amenities are Revolution Slider, light and dark layouts, shop pages, working contact form and testimonials slider. You can also start a blog and expand your reach above and beyond. Kotlis opens its doors to web designers, photographers, artists and other creative individuals who wish to launch a game-changing website. 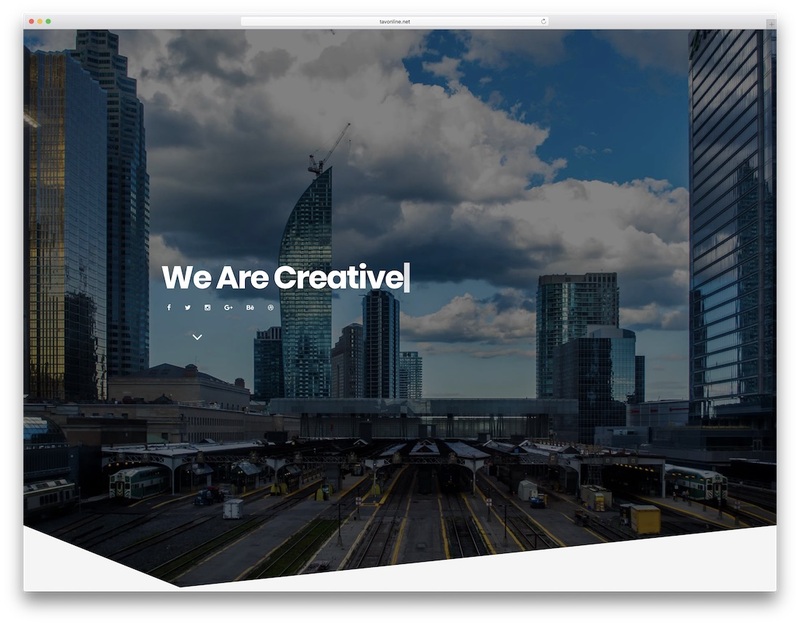 This freelancer website template defines user experience as it lets creatives express themselves through imagery. How come? Well, Kotlis is specialized for photographers, so expect this template to represent photos the way you want it to. This allows viewers to understand the message you are trying to get across without reading mountains of paragraphs. Kotlis comes with seven home layouts that are exceptionally glamorous. It also includes dark and light versions, six portfolio pages, full-screen backgrounds, animations, as well as Instagram and Twitter feeds. In short, you can never go wrong with the always outstanding Kotlis. Action cures fears, so they say, so download Kotlis now and go all in with creating a strong online presence for your freelancing business. 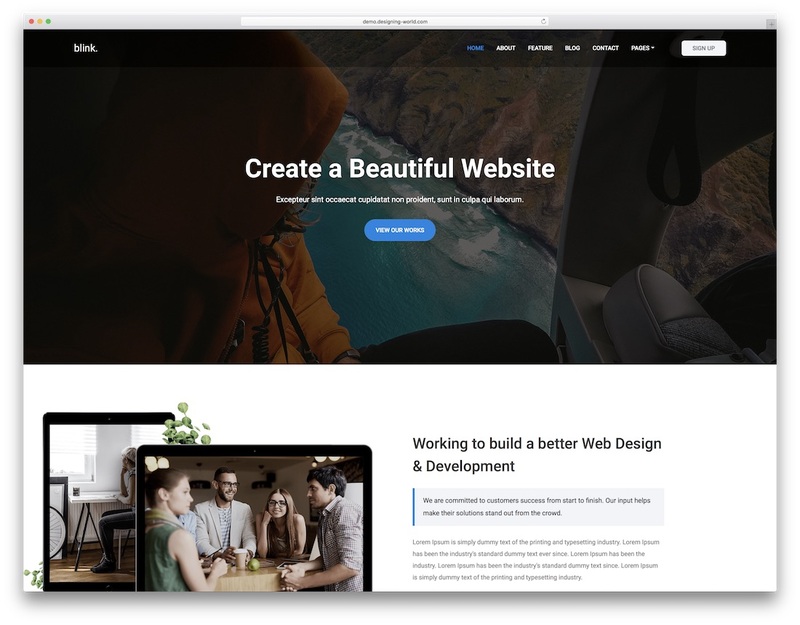 If minimal and simple web design is what you strive toward, then Insee is an excellent freelancer website template for you. Whatever there is you offer your clients, you can now display it live on your site and increase your potential. All this calls is for more project deals and a thriving freelancing business. Do things like the big guys do it with Insee and see the success you always wanted to attain. Insee is a responsive and retina ready template powered on HTML5, CSS3 and Bootstrap. It comes with over sixty page layouts of which six are enticing home designs. With Insee, you can also start writing a blog and let potential clients get in touch with you straight away using the included contact form. With future updates, you can expect even more sample data to drop for you to refresh your website and make it even more captivating. 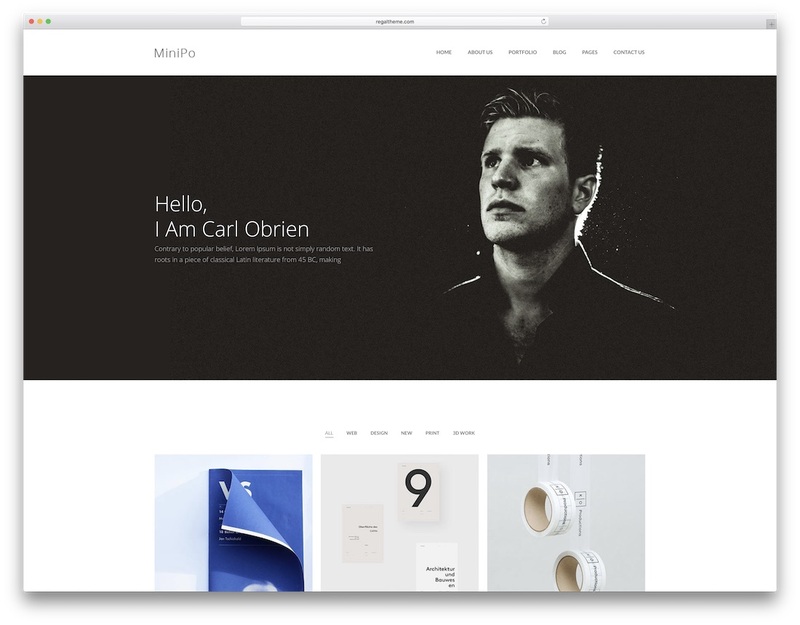 MiniPo is a professional freelancer website template that realizes all your ideas with a trendy page. Its name stands for “mini portfolio” but there is nothing mini about it. MiniPo has a total of 54 HTML pages of which nine are homes, 25 portfolios and twelve blogs. You see, there is nothing mini about the template, but the web design sure is minimal and neat. The template was formed using Bootstrap 3 and all its pages tested and optimized for the best use on all devices and commonly used browsers. From Chrome to Safari and Firefox, as well as iOS and Android devices, this template is compatible and fully flexible. Put together your page using MiniPo and you are sure to create the right kind of impression on your audience. It is a great and fluid tool to use whether you are building a business or a personal website but freelancers will love it the most. There are well over thirty predefined websites at your disposal in the Oppo kit. 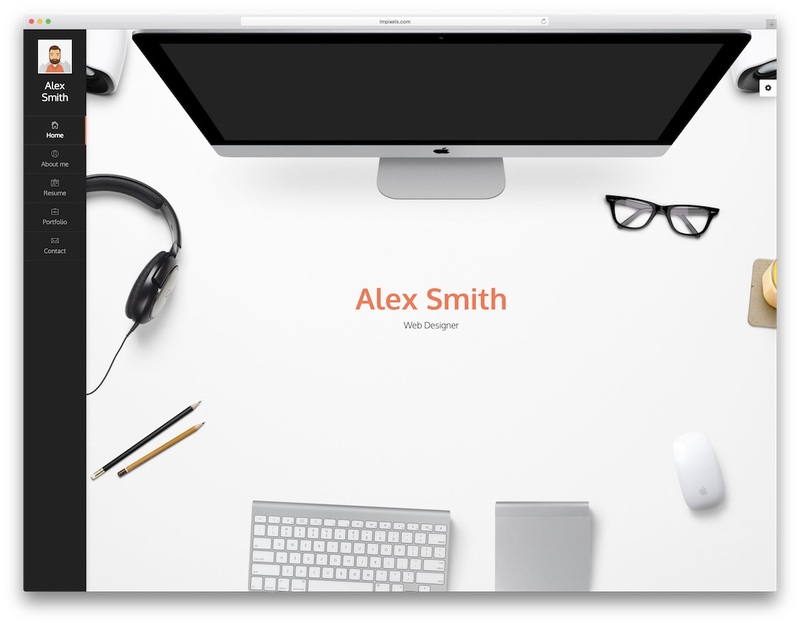 This mighty multi-purpose website template can help you create any kind of web space. Even if you are a niche freelancer, Oppo is ready to take the challenge and craft an enticing page for your needs. It will push your creations and skills in a gripping way to attract even more potential clients and get regular project deals straight to your inbox. Oppo displays all your content front and center for everyone to investigate it in great detail without any distractions. For even more options, Oppo has loads of different header and footer styles, a ton of components and over one hundred shortcodes. While you can create the exact page as your favorite Oppo’s live demo, you can also personify the experience with all the available material and stick out a mile. Who does not want a website with a clean design while being responsive at the same time, right? If that is what you are after in your page, you should definitely think about using Berlin freelancer website template. It is packed and loaded with traits that would allow your site to perform well on various metrics. For example, Berlin is search engine optimized so you can get a great chance at scoring better rankings and overall search results. Another important reason why Berlin is so versatile is because it has a simple, tasty and minimal design. You can comfortably adjust and customize it however you want it. Make it follow your branding and let set a mark for yourself in the online space. Pick one from three demos and implement content marketing into your business using the included blog. Berlin also has a funky typewriter effect, social media buttons and a fly contact form. 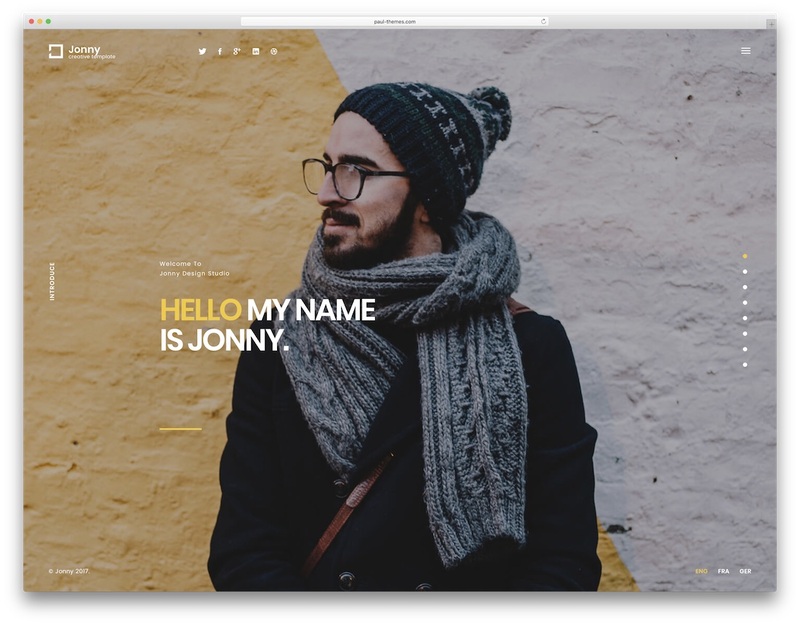 To craft a one-page personal website that shows your freelancing business and make it flourish, Jonny is the template to look into. With the full-screen banner and text support, you can grab their attention and make them keep getting to know you better. It is the freshly designed and established page that will do the marketing for you and get them familiar with what you do. Tell more about your skills and experience and go on a more personal level with all your site guests. Jonny is powered by Bootstrap what gives it the pliability and fluidity, so your final outcome works always and everywhere. That said, it will appear just as great on mobile devices as it will on desktops. Not to mention, Jonny does not shy away from any of the modern browser. If you need a personal page to boost your freelancing project, then you need Jonny. 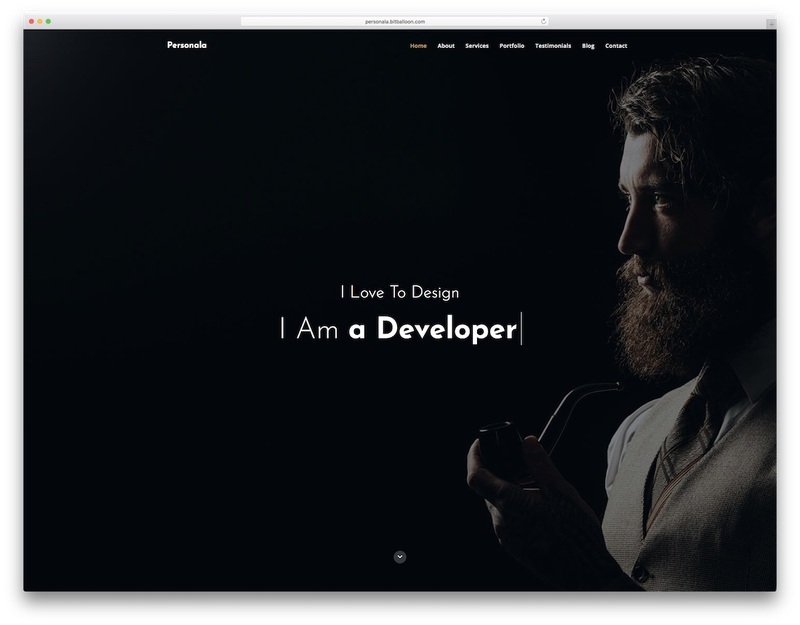 To showcase your work in the best possible light, Showkase is the freelancer website template that does it properly. Minimalism, creativity and professionalism are three top qualities of this fine web design. Several stylish and original home designs, loads of inner pages, blog section and killer portfolios, Showkase is packed and stacked with valuable assets. A ton of advanced features, excellent UI/UX elements, social sharing, optimized for fast performance and loads more quality traits take your freelance project to the next level. For making something out of this world, Showkase is a great tool to do it. Every template user is also treated to free updates and a team of friendly experts. There are no boundaries that can stop you now, go all in and have a page live shortly after. Chances are, you are looking for a way to make your site appear different on the interwebs. Instead of doing things from scratch, why wouldn’t you want to take a healthy shortcut and hammer out a functional page with predesigned content? You sure should check out what Funky template has to offer. 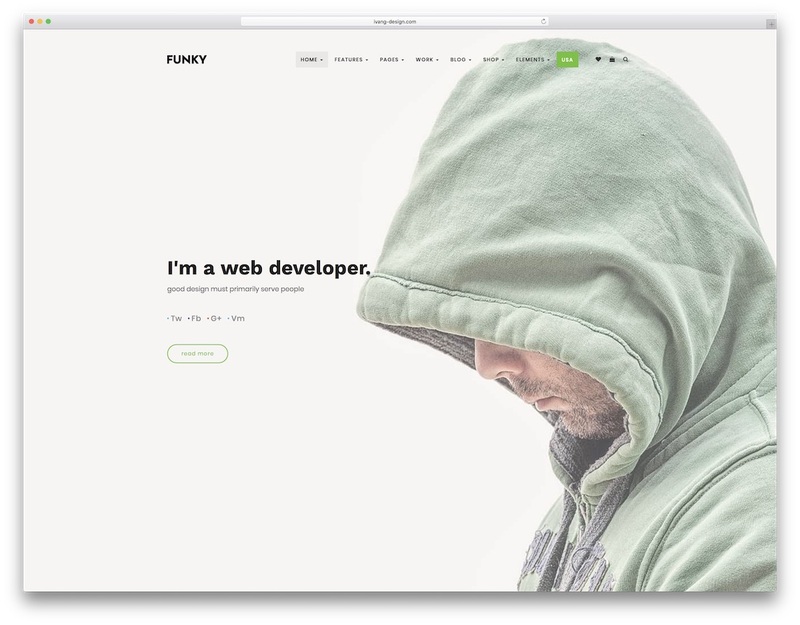 Funky is a contemporary and all-around freelancer website template that everyone can use. 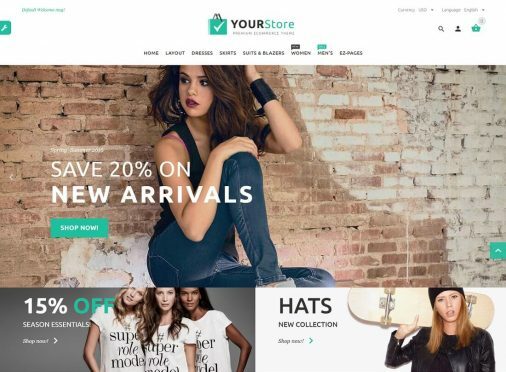 By utilizing Funky, you can own a website that offers something unique and distinct. No matter what your talent is, Funky was designed to help everyone realize their dream sites. With over one hundred pre-made layouts and a number of one- and multi-page homes, you can be sure to find something that will correspond to your requirements. Funky has also been tested on different devices and browsers to ensure you seamless working. Just by its name alone, you can tell that Picasso is going to be well-suited for creative and artistic people. And you could not be more right. It is a vibrant gem that every freelancer out there will profit from greatly. You, too! 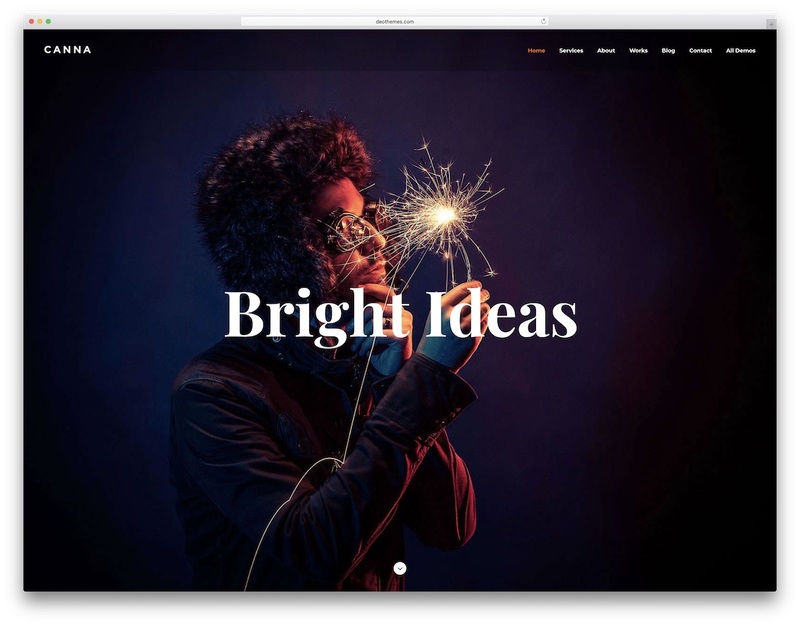 One of the main reasons why Picasso scored itself a spot in this collection of the best freelancer website templates is due to its precious features. Illustrators, photographers, architects, web designers, you name it, Picasso meets the requirements of every creative mind. With sixteen index pages, you can easily find the ideal look for your page that you are in need of. Picasso also included Revolution Slider, mega menu, six navigation styles and a unique approach to testimonials. It is also SEO, mobile and retina friendly, as well as fully documented for ease of use. Let your creative juices flow with Picasso. 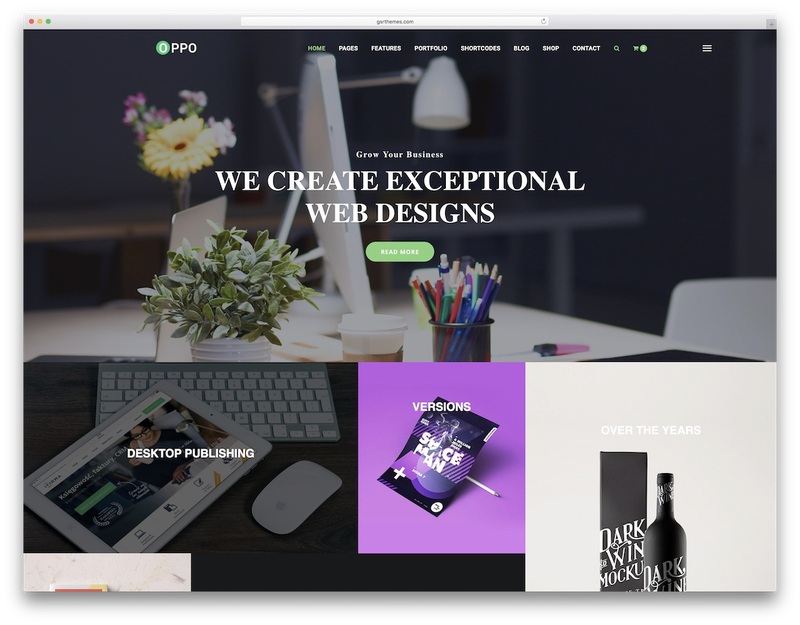 Pofo is a highly creative freelancer website template with a bunch of terrific predefined demos. 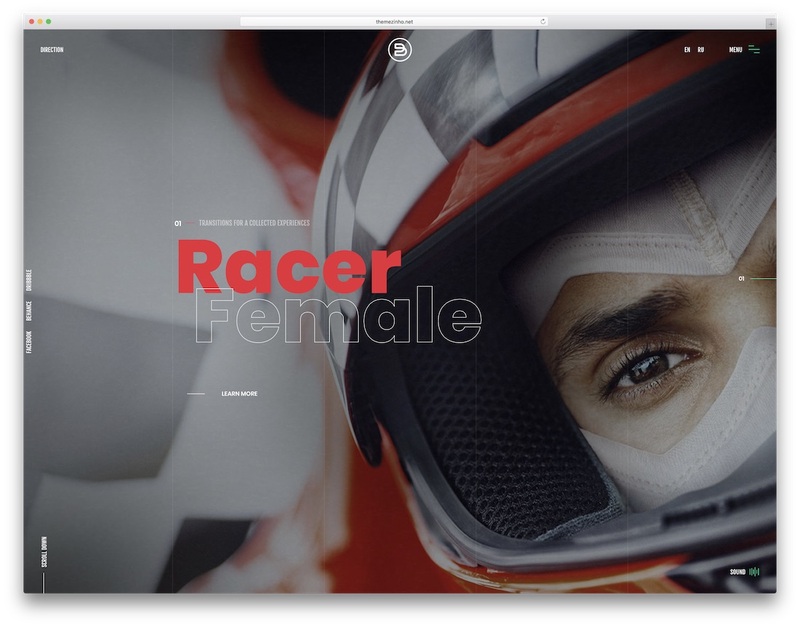 You will find demos for portfolios, creative sites, blogs and even a coming soon version. There are over 20 available home pages and a total of 210 pages and tons of outstanding ready-to-use elements. Building a website with Pofo will not only be fun but the end product will be following the highest standards. It is optimised for speed and search engines, coded with user-friendliness in mind and well documented. From spine-tingling portfolio layouts to various header options with a vertical or horizontal menu, Pofo is packed with great features. It supports self-hosted videos along with YouTube and Vimeo flicks and comes with stunning interactive animations. Pofo is the ultimate template for forging the most advanced freelancer websites. You surely will not miss any features at all. 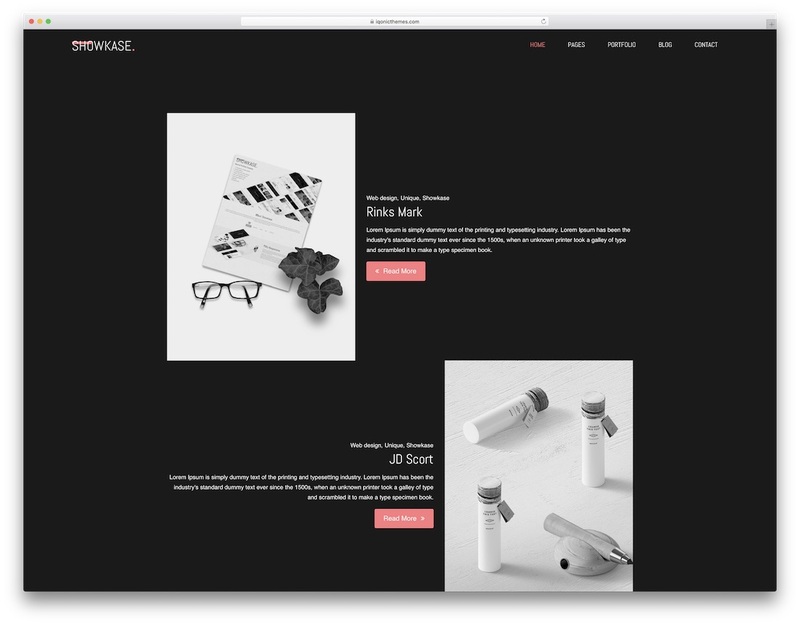 If you are a freelance photographer who occasionally likes to blog about the industry or your own work, we have a special photography website template for you. Juno is an HTML template with twelve available demos and eleven color schemes. 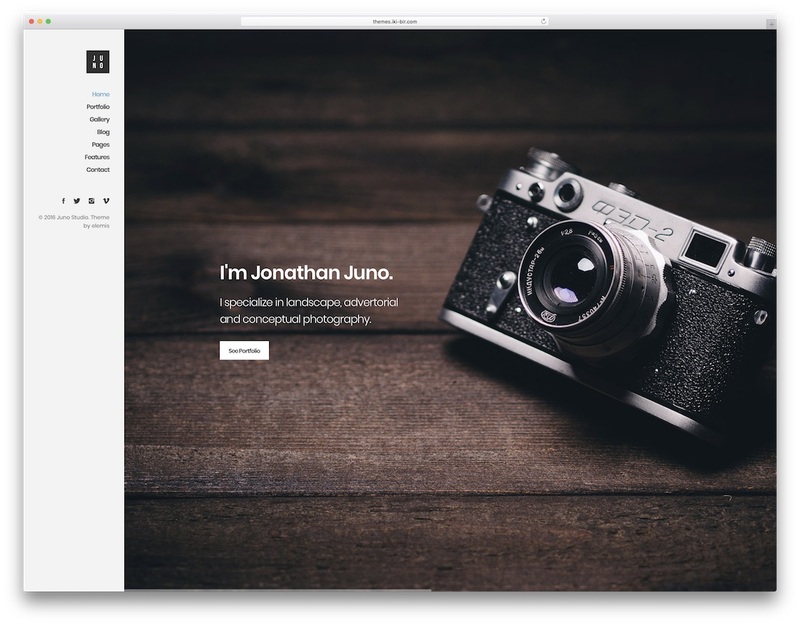 You can create a marvelous photography website using Juno in the shortest space of time. With the diversity of pre-made demos, you surely will find the preferred one which will not even require much editing. Of course, you can customize Juno and that will not even be much of a big deal since its well-written code. Juno is responsive and retina ready freelancer website template with unlimited possibilities. It even comes with three premium plugins and a solid combination of one- and multi-page options. Your portfolios will shine in the online world and all your blogs attract many readers. Hint: combine blogging with your freelancing business for more success. When building a tool for constructing websites which outcome will be unique and creative, there is no better way than naming it Unique. For as long as the features and characteristics are distinctive, the name and the product are a perfect match. One thing you will notice immediately when examining live preview is that you can change navigation position from top to bottom or leave it default, on the left. You can also choose between dark and light layouts and twelve color presets. Unique is a Bootstrap Framework website template what calls for flexibility and extensibility. Video, image and audio portfolio support, uncomplicated customization and an included RTL version, Unique has you always prepared. That said, if you are a freelance developer, with Unique, you will not have a problem fulfilling client’s requirements. 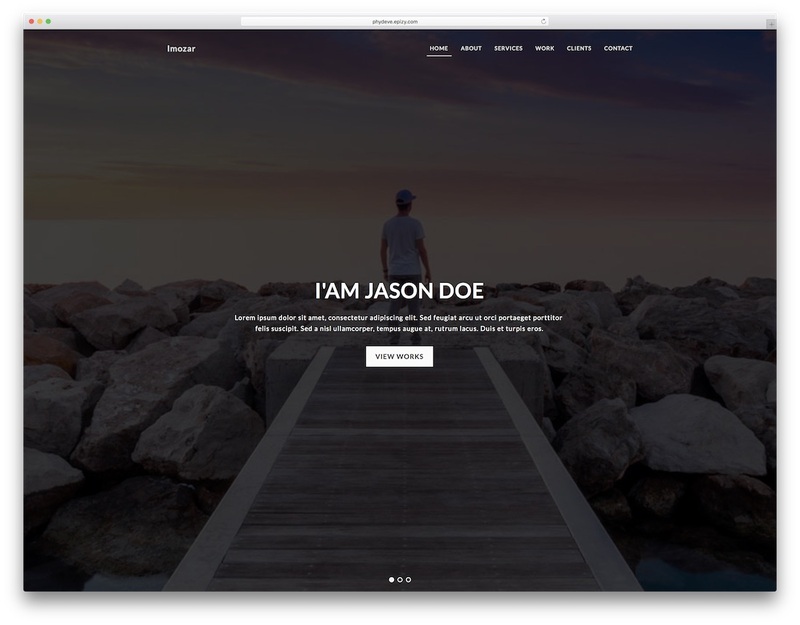 Unique is an online resume website template which freelancers will absolutely adore. If you are keeping things simple with your freelance business website, you win undoubtedly. There is no need for you to overcomplicate with your online presence when your work matters most. Make sure it is displayed beautifully and the pictures are of the highest quality. Besides, ensure a superb user experience on both mobile and desktop devices. 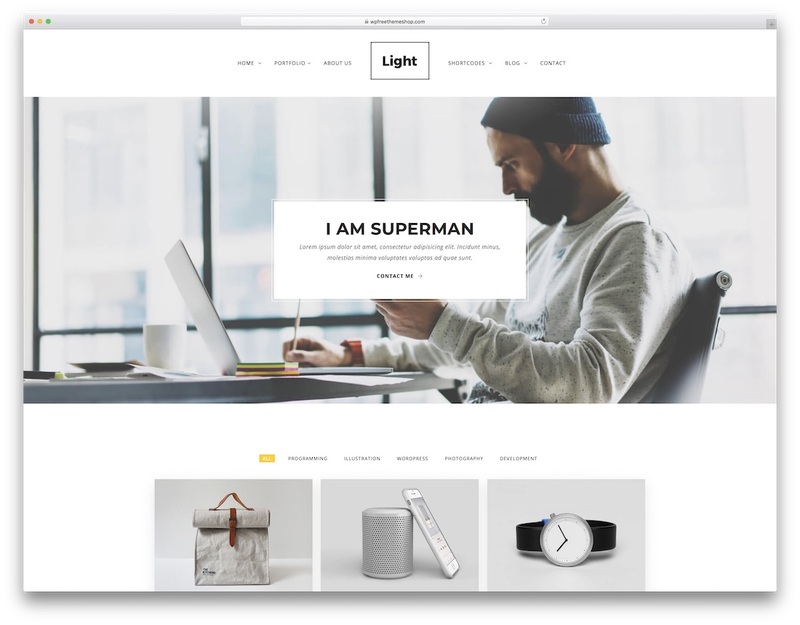 With Light freelancer website template and its several appealing to the eye home designs, you can have a page ready sooner rather than later. The design is clean and simplistic, for everyone to be amazed and enjoying browsing your content. Since there are so many main and inner pages available, you do not have to customize anything other than adding your texts and images. Make a perfect blend of what is ready-to-use and appear on the web like you invested countless hours into the design. Just as unique as its name is, so is the actual product. Let’s together investigate Crea;tink, a multi-concept HTML template with one of the largest amount of demos available to every user. Sit tight because the number is immense. Crea;tink has a banging 40+ demos that range from creative, photography, personal and portfolio amongst many more in between. With numerous features and an endless amount of features, you can go as artistic or as basic as you want with Crea;tink template. Every freelancer on this planet can design a website to advertise his or her talent. Like the amount of predefined demos would not be enough, Crea;tink also delivers four premium goodies free of charge. These are Slider Revolution, Vanilla Contact Form, Slim Icon Set and flat concept graphics. I could go and on and on with how amazing Crea;tink is but I do not want to ruin all the fun for you. I will only add one last thing: Crea;tink is for everyone. 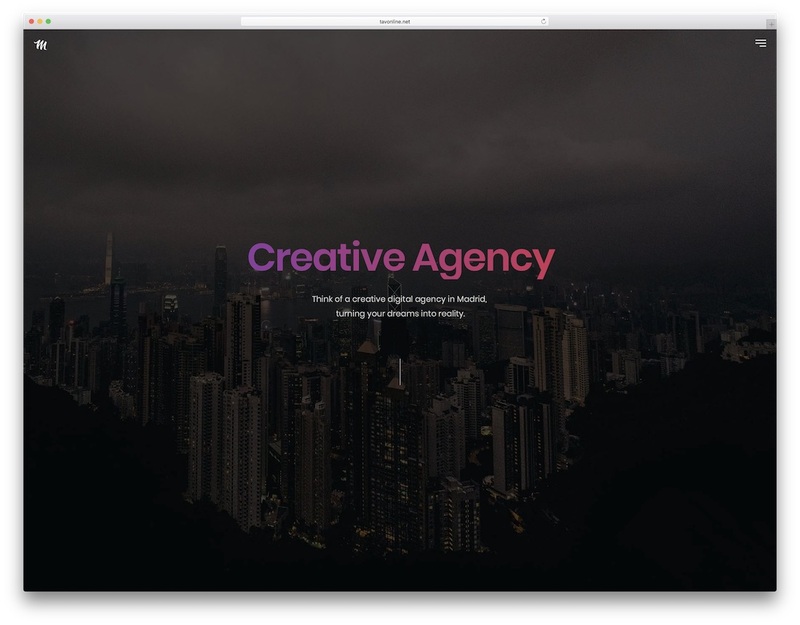 Canna is a creative website template for freelancers, solopreneurs, self-employed, you name it. If you need to build a website for your services and to put on view your works, any of the listed freelancer websites templates will take care of your needs, including Canna. Implemented are the finest practices for the greatest user experiences and includes twelve front page demos and six color presets. But you can pick whichever you prefer since Canna allows unlimited colors. By the way, you also get Revolution Slider for free. To grab the attention in an instant, spark their interest with an outstanding hero video background. You can use Youtube, Vimeo or self-hosted videos. CSS animations, parallax sections, commented code and a functional contact form, Canna brings it all on the platter for you to take to your advantage.